U.S. Rep. 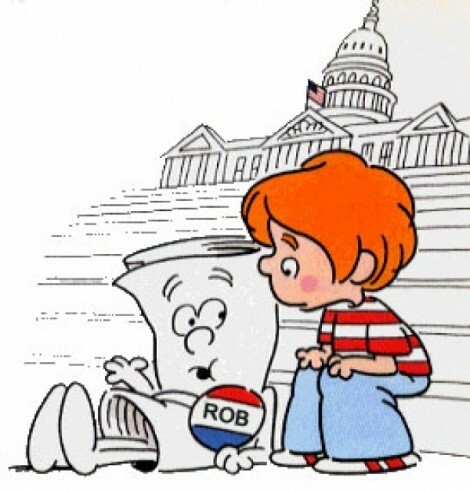 Rob Bishop, R-Utah, plans to propose an amendment to the U.S. Constitution that would allow states to veto an action by the federal government if two-thirds of the state legislatures voted to do so. In an article on political website The Daily Caller, Bishop says that it is another “check” in the system. In reality, it’s a stunt designed to tap into tea-party anger, and all of Bishop’s high-minded talking points cannot disguise the naked politics of his proposal. Even more absurd is that, while one of the core rallying cries for tea partiers is a return to the fundamental constitutional principles, conservative congressional Republicans—who are also pushing for a balanced-budget amendment—can’t seem to propose amendments to the “divinely inspired” document fast enough. The state of Utah has expanded the free legal aid offered through the state-funded Self-Help Center to the 1st Judicial District, which includes Cache, Box Elder and Rich counties, and now serves five of the state’s judicial districts. The center offers assistance to people representing themselves in cases where they are not entitled to a public defender and cannot afford a private defender, such as debt collections, divorces, adoptions or custody disputes. While they don’t give legal advice, they help the often-overwhelmed litigants navigate the judicial maze of filings and hearings. One-third of Utah’s legislators received all of their campaign contributions from special interests, while half of them received less than 1 percent of their donations from constituents in their district. That is according to an analysis in The Salt Lake Tribune of campaign finance reports for the 2010 elections that emphasizes how pervasive the influence of lobbyists and political action committees is among Utah’s elected officials. Further, legislators such as Rep. Mike Morley, R-Spanish Fork, are quoted in the article as if they are proud of the fact that they don’t have to ask their constituents for money. Yes, Senate Majority Leader Scott Jenkins, R-Plain City, repeats the argument that transparency is more important than restrictions, since donations do not buy votes—although he does acknowledge that donors are buying access. But those tired arguments, when laid against the stark numbers, sound awfully hollow.